Crème soap on tap is a viscous, pearlescent white liquid with a mild cosmetic fragrance. It can be used for washing hands, face or all over the body in a shower. Crème soap on tap is based on a blend of mild cleansers derived from coconut oil and synthetic sources. These cleansers foam in all water conditions and clean the skin without degreasing it. 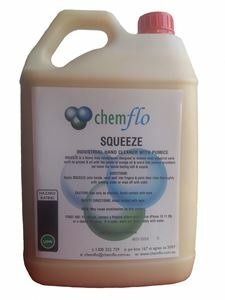 The cleansers do not form a scum in hard water making bowls and showers easier to clean.